Regardless of your feelings towards sales, there are many learnings that one gains from understanding it and it’s processes. In fact, many people don’t realize how much of it is entwined with other aspects of life and business. This episode touches on two major pillars of sales that can support other avenues of your business – pipeline and negotiation. If you’ve ever applied to attend college or went job hunting then you’re likely familiar with how a pipeline operates. You probably used a spreadsheet to track where you applied, who you spoke to, important deadlines, the requirements for a complete submission, and countless metrics to make sure you put forth the best product – no different than a sales pipeline for opportunities. When a potential customer is vetting your product against competitors, your sales people are responsible for giving you a competitive edge by engaging the client in different ways to demonstrate value. Taking the sales process of managing a pipeline and applying it to fundraising and hiring endeavors can support you immensely. Though it may not feel like it, you are responsible for steering the outcome and controlling interactions in both cases. VCs are inundated with requests for funding as are top hiring prospects with offers from recruiters and you need to make sure you stay at the forefront. Part of managing a pipeline requires listening to the other side. The best negotiators know how to listen. This doesn’t mean talking less but taking notes on what is valued and desired by the other side. When done right, this pays off during negotiations. If you’ve ever studied negotiation then you know that both sides place different values on the same item. Why, for example, is a startup willing to give away $500 of value for free? Well, in exchange for a company logo on their website they can generate significantly more revenue than what would be paid on a monthly basis. This same principal applies to hiring and fundraising. Listen to what people value and negotiate based on that instead of focusing too heavily on hard numbers…unless, of course, that’s what is of most value. Also, rarely is something off the table in a negotiation. A successful negotiation has both sides coming away winners and if your unorthodox request balances the scales then it shouldn’t bring too much opposition along with it. 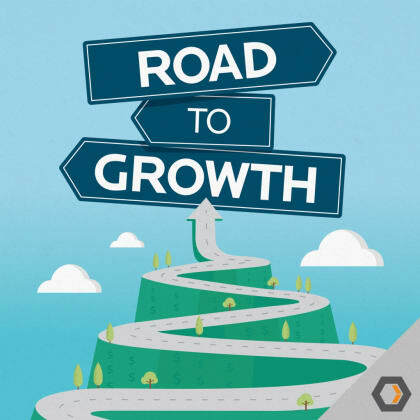 For more Road To Growth and to find out about new episodes you can follow the show on Twitter at @roadtogrowth_. The post Ep. #2, Sales’ Impact on Pipeline and Negotiation appeared first on Heavybit.